HAMPERS AWAY! 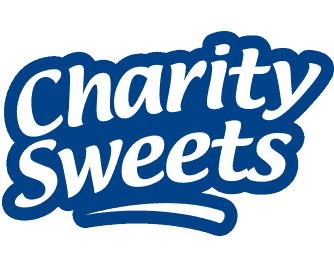 – Charity Sweets by Sweet causes Ltd.
Home / News / HAMPERS AWAY! Yes, they’re on their way, I can all hearing you saying ‘about time too!’, we have started sending the first batches out from this Monday 10th April 2017. 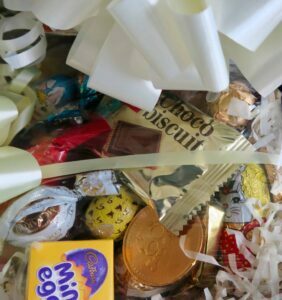 Thank you to all our customers waiting patiently for their well-deserved ‘Free Winning Hampers’ they should reach you by the time your sales collector is next in your area, it is based on a first come first serve basis. 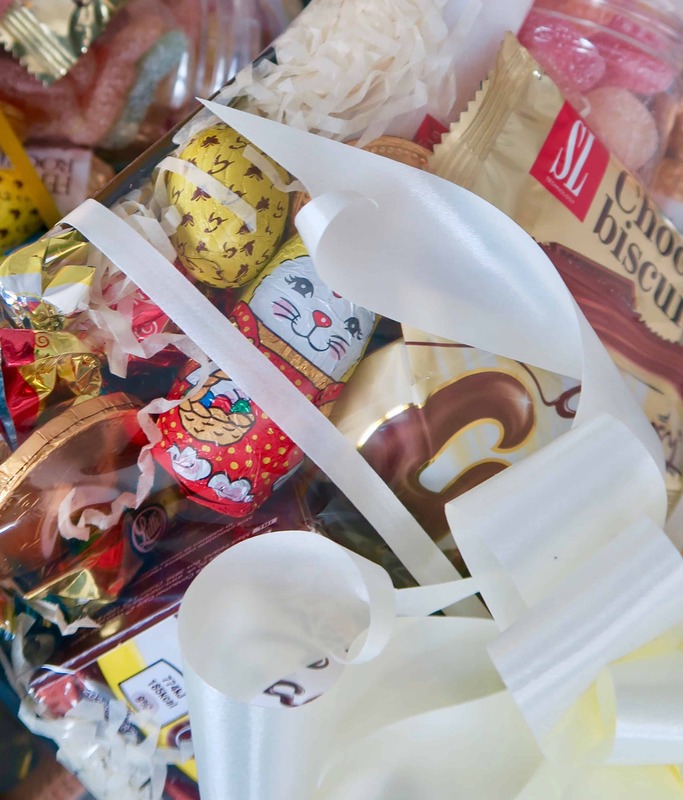 We cannot guarantee each hamper will be exactly the same, however we will and have done our utmost to make sure your hampers will have some really delicious luxury sweetie treats in store for you. 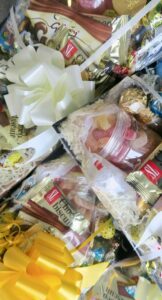 Please remember to claim your Free Hamper you must have the raffle ticket stub with your number on it. The closing date to claim is Monday 3rd July 2017. See this is what you miss out on when you dont participate in our’ Free Christmas Raffle Draw’. Tickets for Christmas 2017 start coming around in your area from around September time and are drawn after Christmas in February 2018, so don’t forget to ask your sales collector. 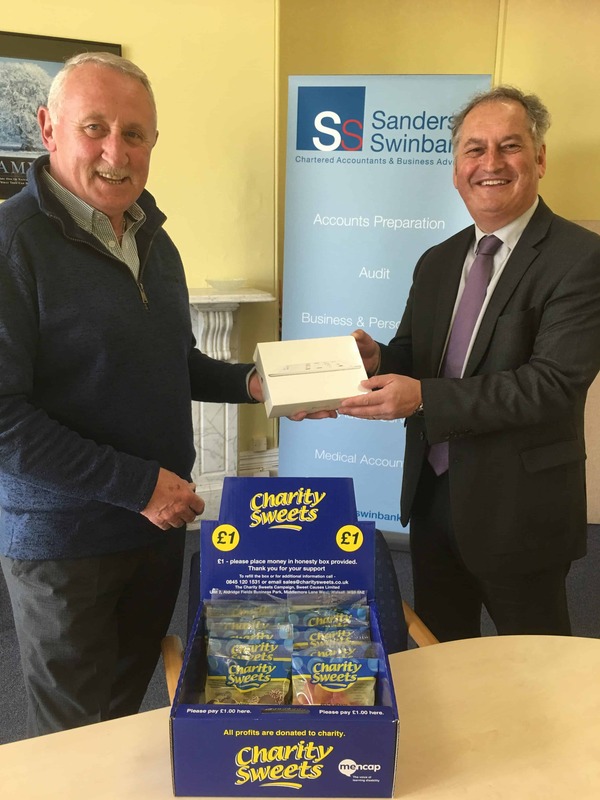 Congratulations are in order for Sanders Swinbank Ltd who came 2nd in our ‘Free Christmas Raffle Draw 2016/2017’. Sales Collector John Bursey presented a brand new iPad to our delighted customer Stewart Swinbank, well done!